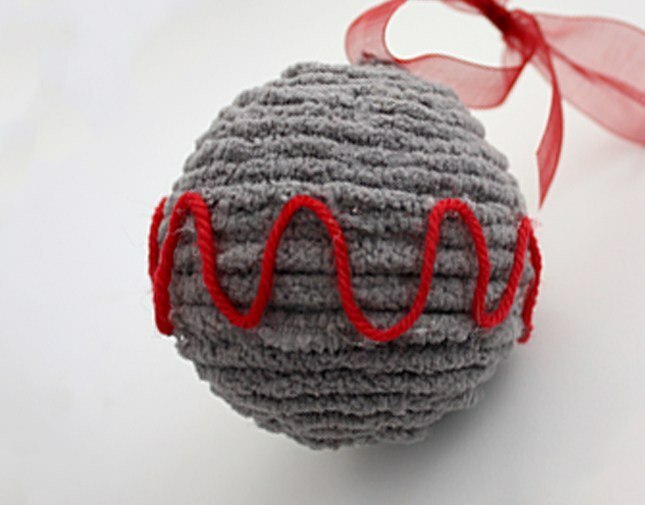 Spice up your Christmas Tree this year with a few unexpected and modern Yarn Wrapped Ornaments! 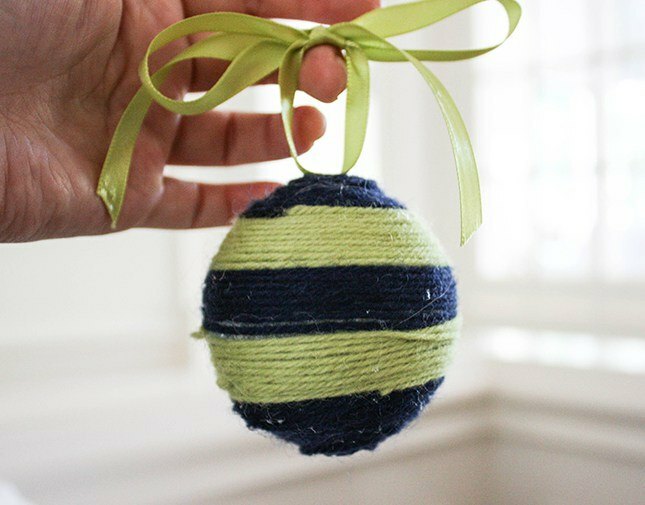 The no-needle decorations are an unbelievably easy way to use up leftover skeins and decorate your home with something you love – yarn! 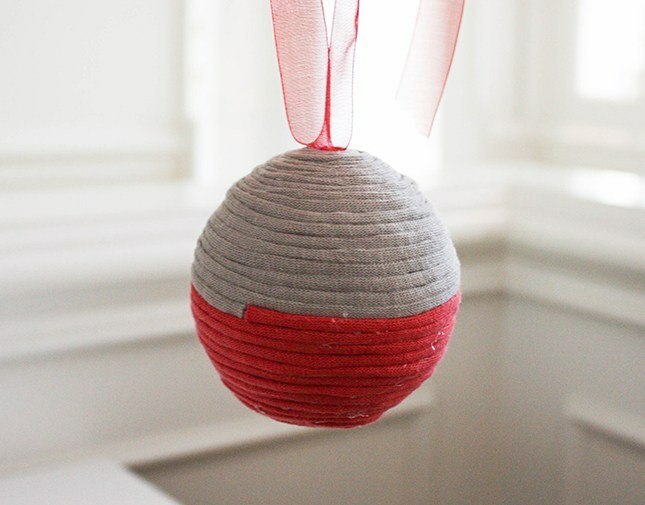 Get creative with your color combinations, patterns and ribbon for a unique twist on the classic holiday ornament. Take a look at our Cozy Cabin lookbook for yarn inspiration in modern holiday shades and interesting textures. 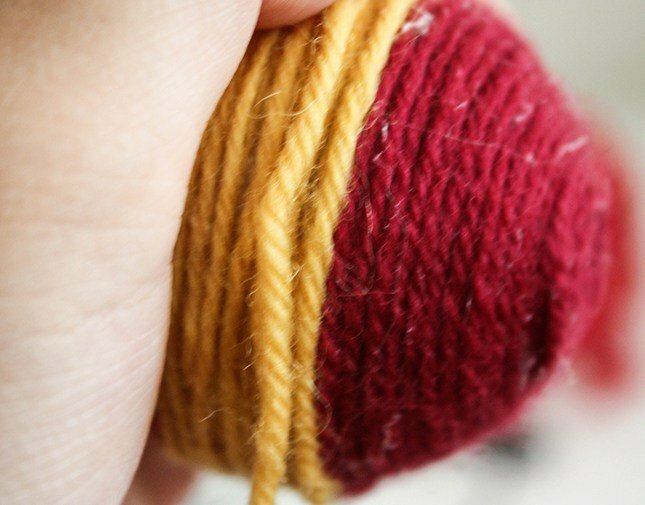 Follow along with these step-by-step instructions to find out how to do this yourself. 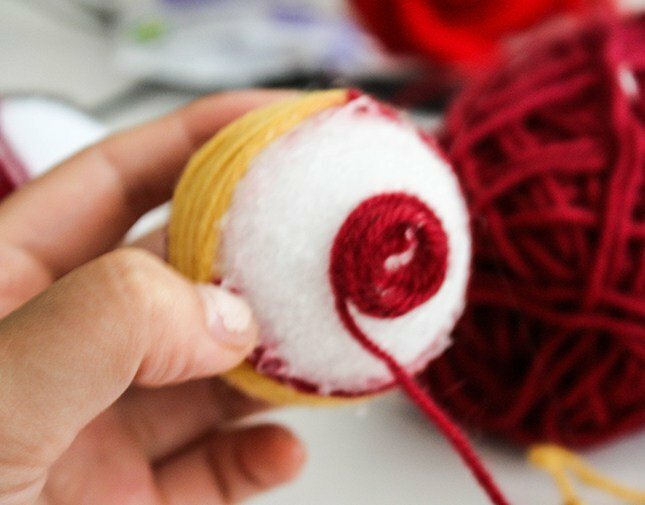 It’s good to have a rough idea of the pattern you want on each ball before you start so you don’t get stumped half way through. 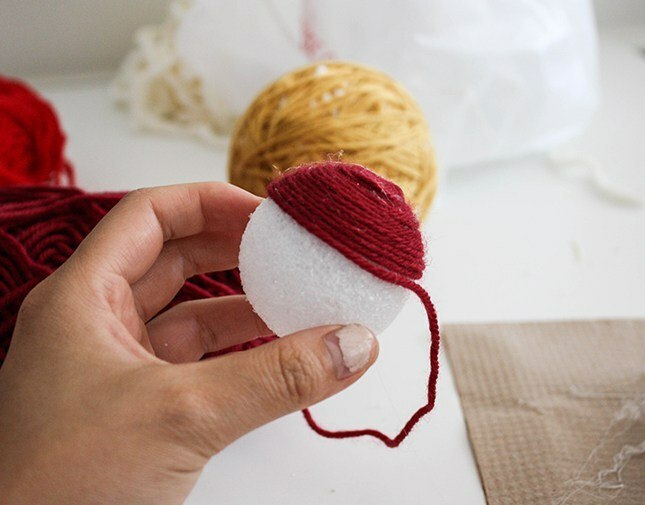 Pick a styrofoam ball and the desired yarn, and glue the yarn down to anchor it. 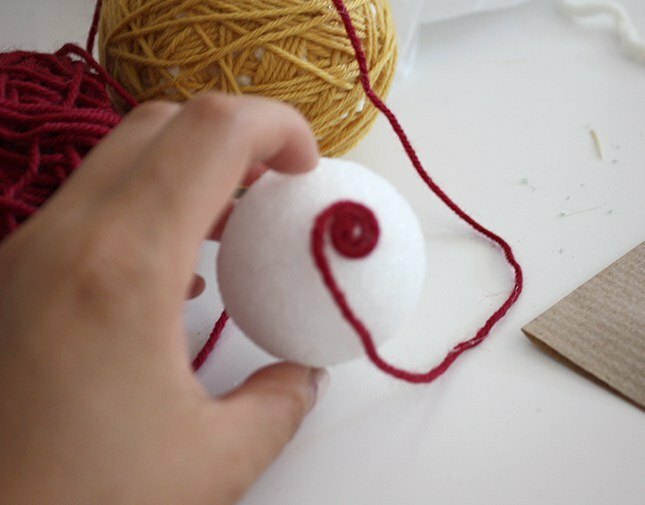 Start coiling the yarn around the styrofoam ball, gluing as you go to keep the yarn in place. 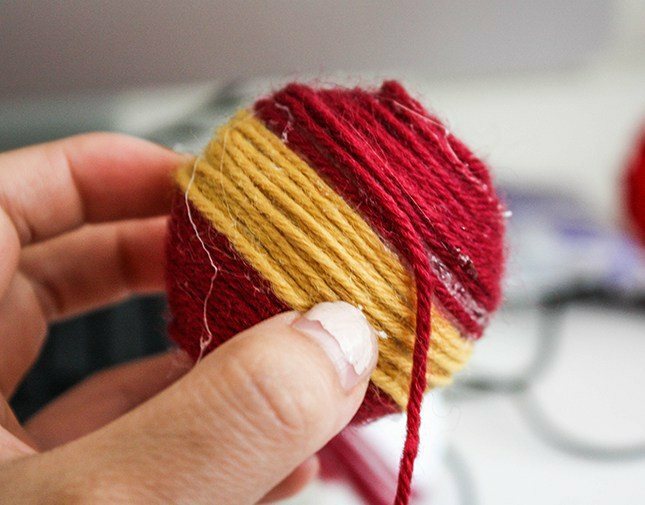 When you are ready to switch colors, cut the yarn and glue the tail securely in place. Now’s the time to get creative! Pick up your second color and continue spiraling around the styrofoam ball. Repeat the process to add multiple stripes. 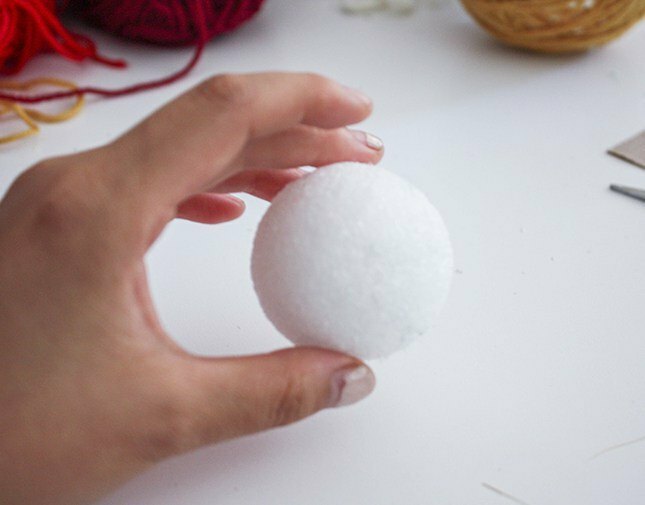 When your entire styrofoam ball is covered with yarn, cut the strand and glue it down to anchor. Clean up any excess glue. Cut a piece of ribbon approximately 12 inches long. 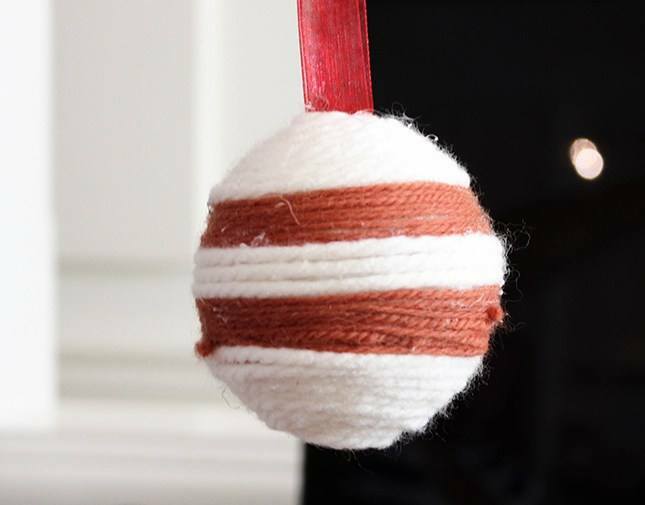 Glue the center of the ribbon to the top of your ornament. 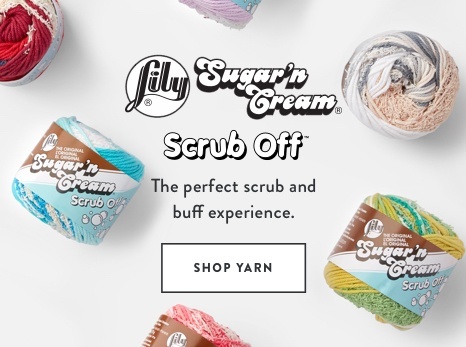 Merry Christmas and Happy Holidays from the Yarnspirations team! 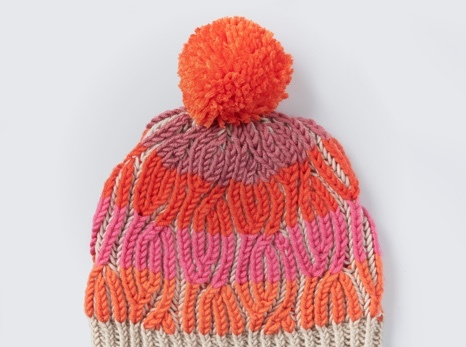 Trend Alert: Accessorize with Pompoms! 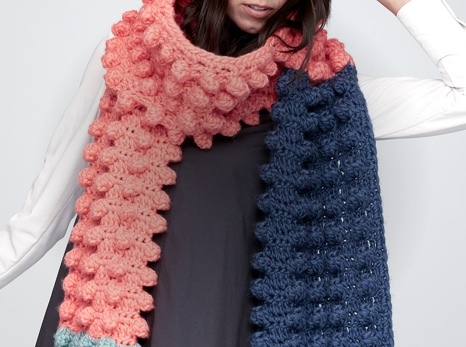 Learn to accessorize with pompoms, this season’s trending yarn trend is a great way to revamp and update your fashion accessories.